Today, in a beautiful turn of events on a rainy Saturday, we were all allowed to sleep in until breakfast at 9:30am. After breakfast, most of the class, including myself, played a few games of volleyball outside the dorms. After each point, our supportive teams would clap for the player who won the point. It was nice to see how close we’ve all become as friends in just six days. Soon after the volleyball games, we all rushed to lunch. Excited murmurs and wild laughter fill the cafeteria as we were all pumped to go on a trip today, specifically to the Dunn’s River Waterfall. We all packed up our stuff, and headed on a bus to right outside Ocho Rios. The class starting to climb the waterfall at the very bottom. We started at the bottom of the waterfall, right at the ocean. After taking a photo, we began our trek up. 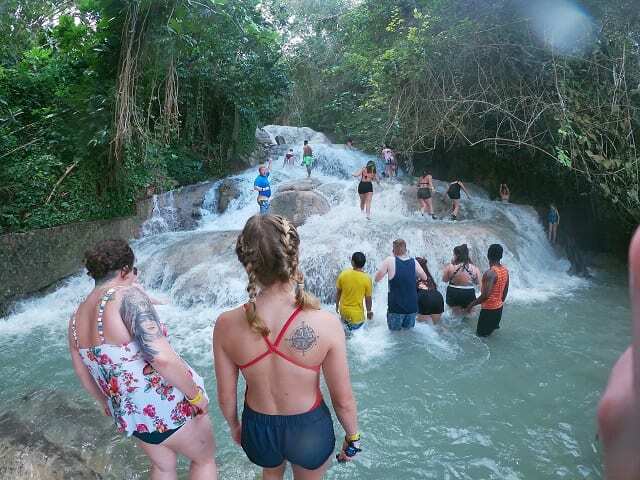 Through slips and slides, deep pools, rushing water, and slippery rocks, after about an hour of climbing over the 10-12 tiers and pools, we finally made it to the top of the Dunn’s River Waterfall. Feeling triumphant, some of us took a rest in the top pool, while other went again for one last climb up. Honestly, this was the most beautiful waterfall I’d ever seen and quite possibly the most fun I’d had in my entire life. I’m so glad I came to Jamaica. But wait- the fun wasn’t over yet. 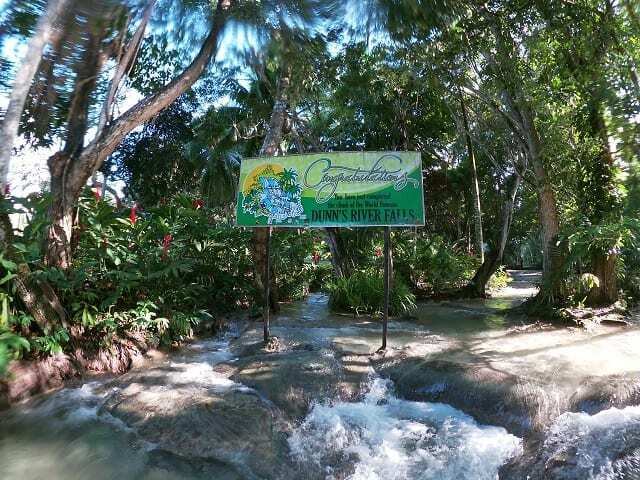 We hopped back up on the bus and ventured to the city of Ocho Rios! The finishing sign of completion at the top of the falls. 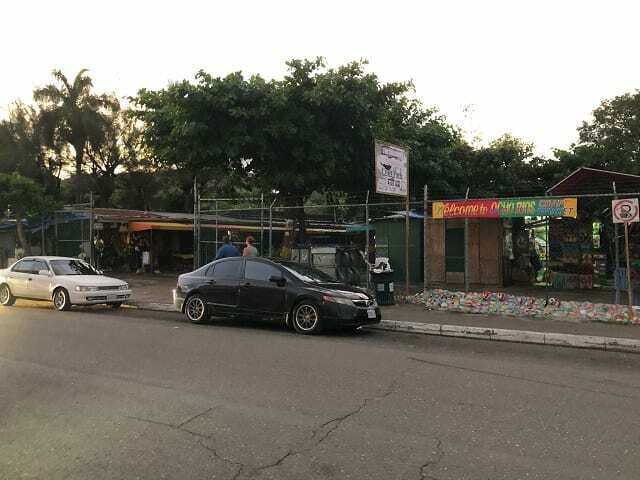 In Ocho Rios, you will find a straw craft market that is much larger than it seems, where you can haggle for crafts and traditional Jamaican souvenirs. You will also find restaurants, clothing stores, a beach, and a lot of culture that most of us hadn’t experienced before. I spent most of my time buying crafts and souvenirs with my friends, walking all over looking for a haberdashery to no avail, and eventually sitting down to a rushed dinner with a group of us right before we had to go. All in all, I’d say we all had a pretty successful day. Oh, and don’t let anything swim up your swimsuit! And don’t bring anything back home! We’ve got enough pets.